Dec 23, 2016 @ 09:00 AM — by Sharon B. Mateja, D.D.S. There are a number of oral hygiene habits that are useful in the preservation of good oral health. Brushing, flossing, and the maintenance of routine dental exams and cleanings all promote the strength and structure of the teeth. These habits reduce the need for restorative dentistry treatments to repair dental damage. However, it is not just what patients do that can enhances the health of the mouth, but also what they choose not to do. By avoiding harmful dental habits, patients can minimize the risk of oral injuries and other dental complications. Dr. Sharon B. Mateja discusses some of the bad dental habits that our Rancho Cucamonga, CA patients should avoid if they want to preserve the health of the smile. When the body is stressed, it is normal for the muscles to become tight and tense. Another natural response to anxiety is to clench the jaw and grind the teeth. This habit can be extremely harmful to the teeth, especially if it is one that is practiced habitually. When the teeth press or rub against one another, they are exposed to a great deal of force. This kind of extreme force can wear down tooth enamel and increase the risk of a chip, crack, or fracture. Unfortunately, in most cases, teeth grinding is a subconscious habit that is practiced while a patient sleeps. For patients who suffer from bruxism (teeth grinding and clenching), the best way to avoid the habit is to be fitted for a custom dental mouth guard. Nail biting is another common response to anxiety or nervous energy. This may seem like a harmless habit, but it also places undue stress on the teeth. The nails are hard, and the teeth are not meant to repeatedly bite down on hard objects. Over time, nail biting can weaken tooth enamel. Worn down enamel can lead to a number of oral health problems, including tooth sensitivity, infection, and oral injuries. When faced with a stubborn bottle cap, a forgotten tag, or a package that doesn’t want to open, it is tempting to use the teeth as tools. The teeth are intended to chew on foods, but not objects. It is common for a person to chip or crack a tooth when they are trying to use the teeth as tools. This pressure can also weaken enamel and make it easier for harmful bacteria to reach the center of a tooth, where an infection can develop. Smoking isn’t usually considered a dental habit, but it is one that can cause damage to the teeth, gums, and other soft tissues. Smoking is known to cause stains and discoloration, it increases the risk of gum disease, and is a leading cause of oral cancer. It is easy to see why smoking is a bad idea for anyone who wants to preserve a healthy mouth and beautiful smile. It is important to follow a good oral hygiene routine and avoid bad dental habits, but nothing is more beneficial than professional dental care. 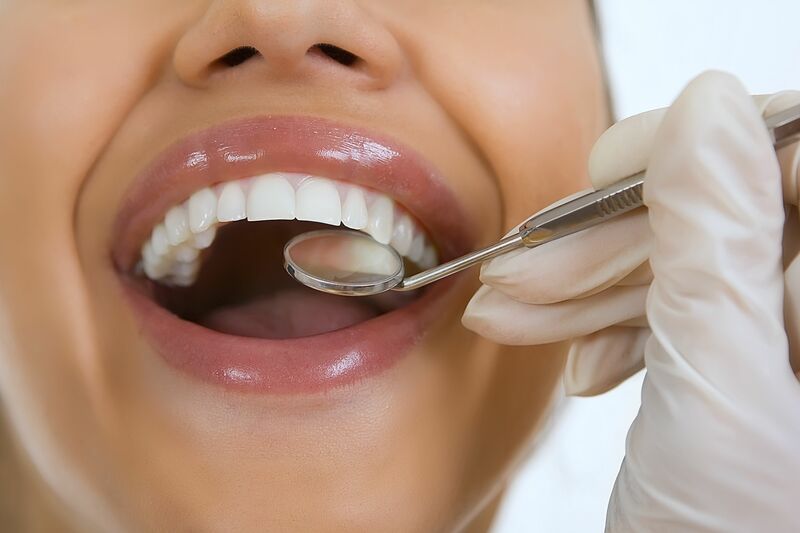 Dr. Sharon B. Mateja offers a comprehensive range of general, cosmetic, and restorative dentistry treatments that help patients maintain a healthy, beautiful smile. To learn more about these services, contact us at your earliest convenience.